Today is an exciting day because there are now FOUR FUN, NEW items available for FREE with qualifying purchases. You’ll see more details about these new items later in this post, plus, I showed all of the new items in my recent Facebook Live too! As a demonstrator, I got to preorder these a few weeks ago and got my items just a few days ago. I immediately started playing and for some reason, this set seemed like the perfect one for an emboss resist technique card! 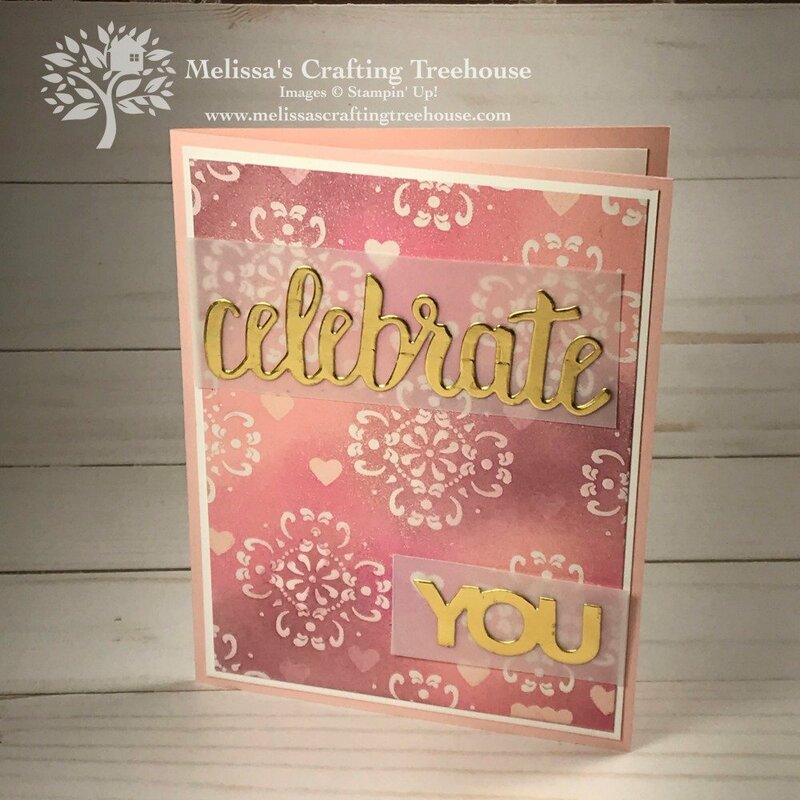 The truth is that I’m not really a pink lover but sometimes certain cardstock colors need a little Love!!! I got this set just a few days before Valentines Day so it seemed like the right time to pull out some pinks to play with. In addition, I’d been scanning my cardstock, particularly my 2017-2019 InColors, and discovered I had a bunch of all three of the colors used on this card. Now, these colors will retire the end of May 2019 so it was clear they NEEDED A LITTLE LOVE! Are you familiar with the emboss resist technique! Sponge over them with inks as desired. Wipe off the excess ink that is sitting on the surface of the embossed images with a damp paper towel and voila, you have your emboss resist! The ink will not absorb into the embossed surface which is why this technique is called emboss resist! Makes sense right? 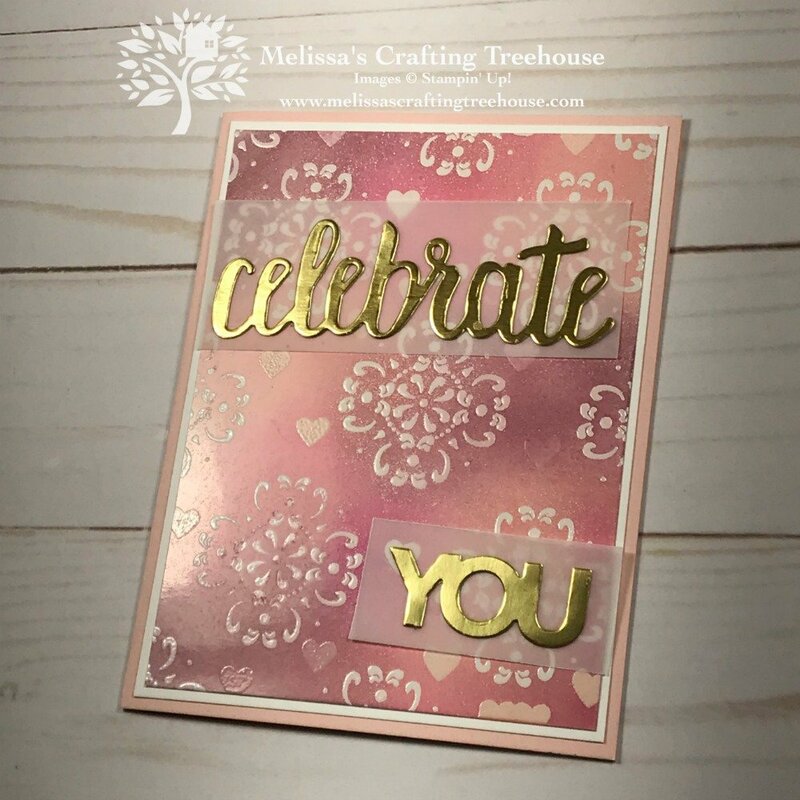 The die cuts used on this card are the Celebrate You Thinlits. It’s the perfect sentiment for Valentine’s and yet it’s generic enough for other occasions too! This next card is done with silver Foil instead of the gold. Which do you prefer? This is the focal piece below is the one I demonstrated in the Live event. On my card above I actually forgot to use the Embossing Buddy (something I often forget… Ugh) and so if you look closely you’ll see specks of clear embossing here and there. In the version below I DID REMEMBER to use the Embossing Buddy. As a result, the sponged ink was more smooth. I love how this second version turned out! My card involves a few additional steps which you’ll find in my Facebook Live video below. Plus, there’s more in the video you won’t want to miss, including some stamped and embossed items made with more NEW products! 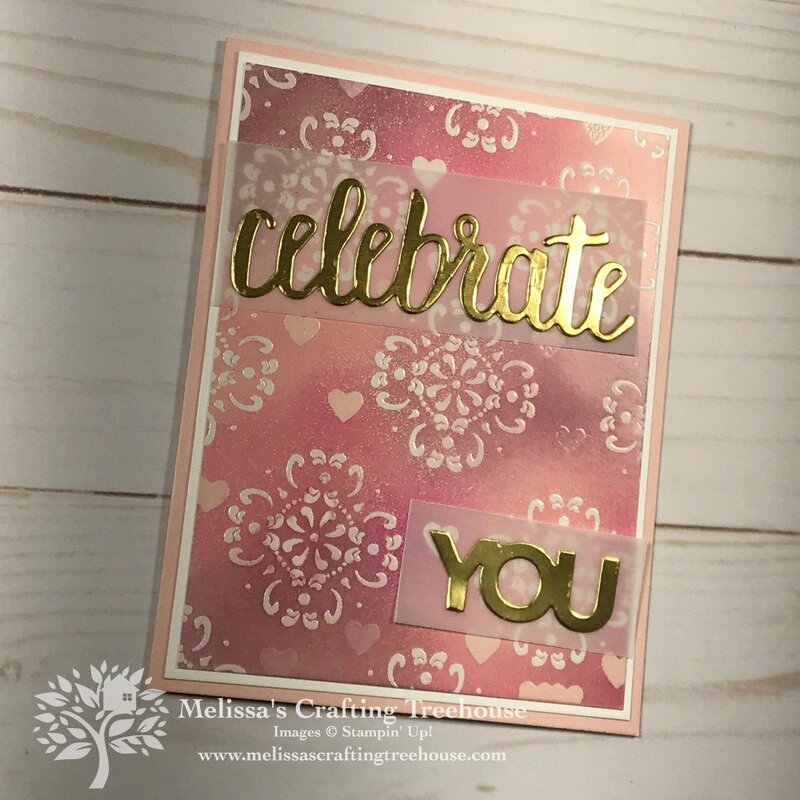 In addition to sharing my emboss resist card in the video, I also showed a few additional fun ways to use the All Adorned Stamp Set. 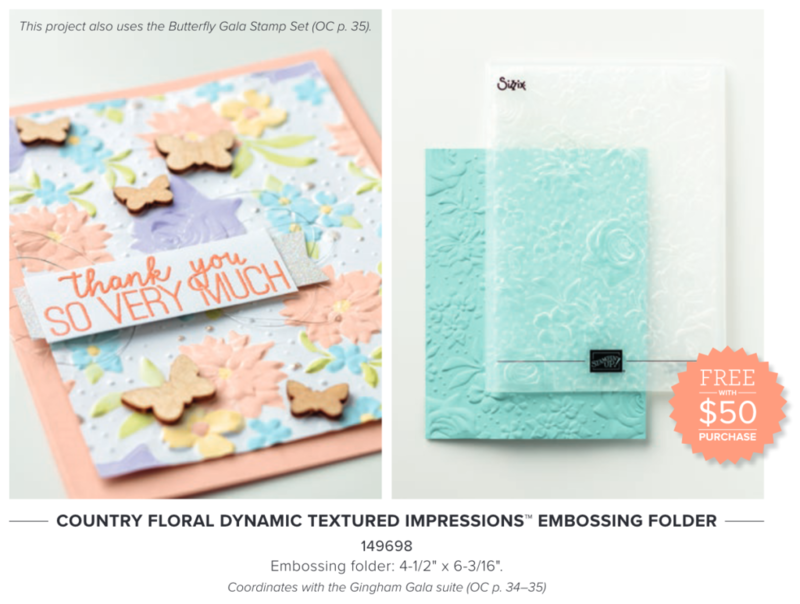 Check out the NEW Country Floral embossing folder AND the Painted Seasons Stamp Set in action! Check out my video for all the details! 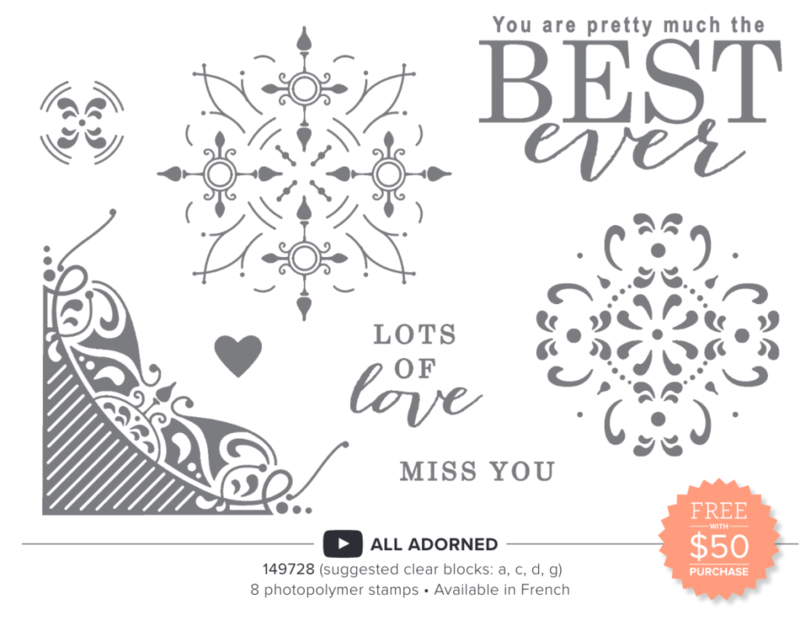 If you’d like to recreate this card, you can get the All Adorned Stamp Set FREE with a purchase of $50 in merchandise. 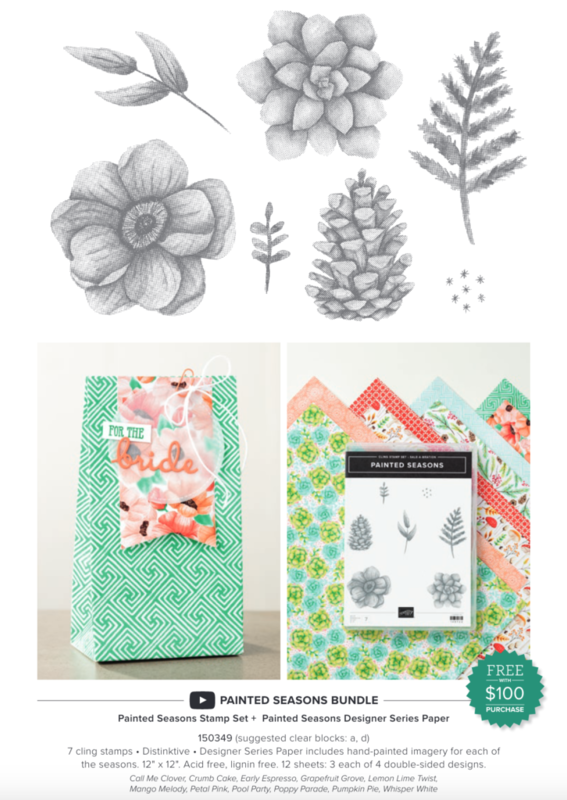 Plus, you’ll get Free Card Kits from me when you use the current hostess code AND an exclusive tutorial bundle when you spend just a little bit more! Find out how to qualify for the Free Card Kits program by clicking HERE. There are details about how to get the FREE tutorial bundle in the “More Going On” section below. Here’s the set I’ve used on today’s project. This stamp set is a level 1 item which means you can get it free with a $50 merchandise order. 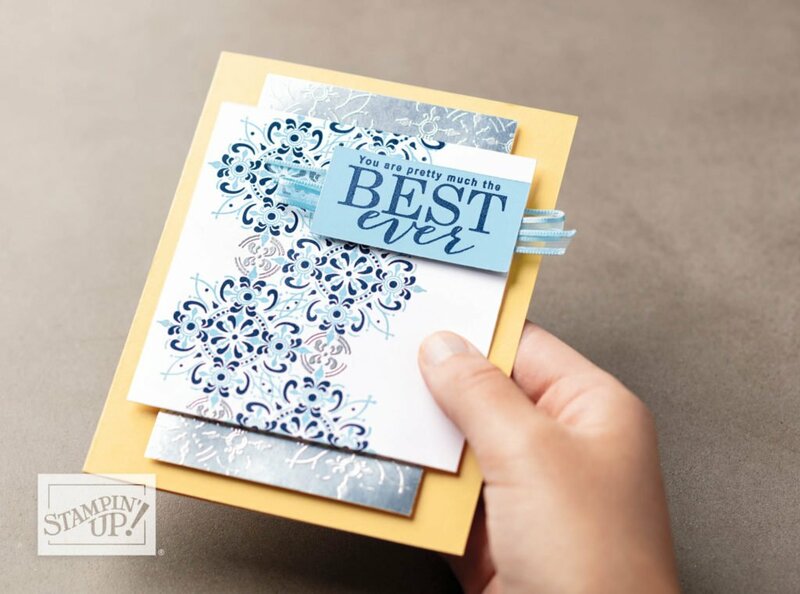 Next is the Country Floral embossing folder and it is absolutely gorgeous! These photos don’t do it justice but I’ve shared some samples in my video that show how beautiful it is! Make sure to check it out there!!! 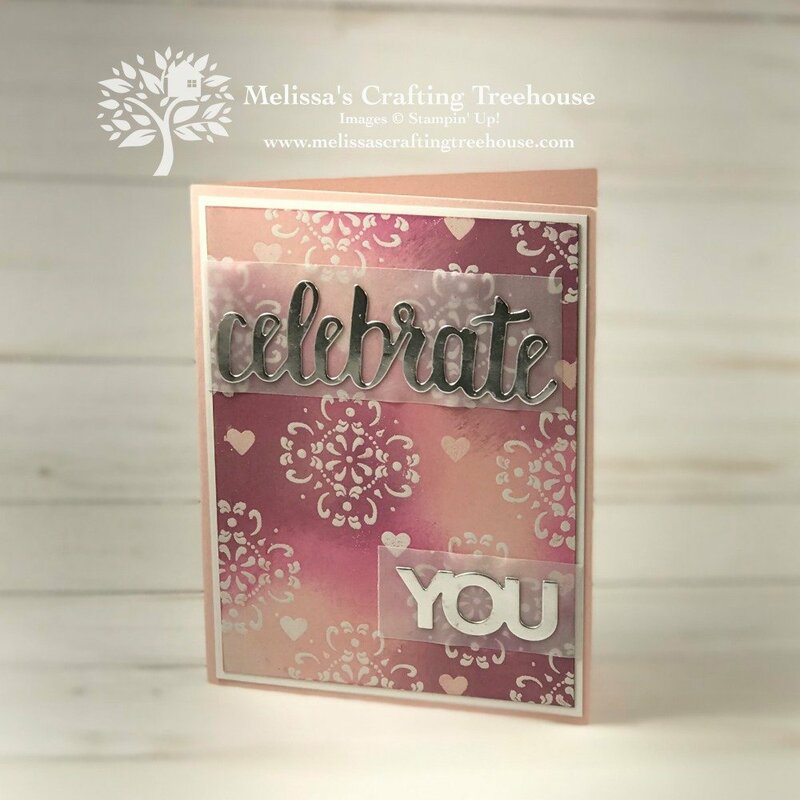 This embossing folder is a level 1 item which means you can get it free with a $50 merchandise order. Last but not least, here is the Painted Seasons Bundle. It includes this gorgeous stamp set and coordinating designer series paper. I’ve stamped and shared some of these images in the Facebook Live so you can see these in action! This bundle is a level 2 item which means you get these two items free with a $100 merchandise order. For orders of $150 or more, DO NOT use the hostess code! You’ll still receive the Tutorial Bundle, the kits AND you’ll get hostess rewards too!